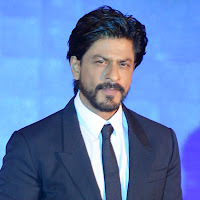 Our Correspondent ● Kolkata: Bollywood superstar Shah Rukh Khan will promote West Bengal as the ‘sweetest’ tourist destination in the country, as the state government goes on an overdrive to attract domestic and foreign travellers. “We have roped in Shah Rukh for promoting tourist destinations in West Bengal. He will soon come over to the city for a two-day shoot,” state tourism minister Bratya Basu told newspersons today. “New advertisement films will be made featuring Shah Rukh in both Hindi and English,” Basu said, adding that a ₹8 crore budget has been earmarked to showcase the state as an attractive tourist destination. Road shows would be held in seven cities across the country to attract tourists to the state with a new catchline ‘Experience Bengal—The Sweetest Part of India’, he said. With the Durga Puja coming up in the third week of October, the state tourism department has devised several package tours. People can avail these tours and enjoy the festivities in the metropolis as well as in other parts of the state. The yours during the festival would be from one of eight hours that would cover popular pujas in different parts of the city. There’s also a two-day schedule that would take tourists to see pujas in different districts.